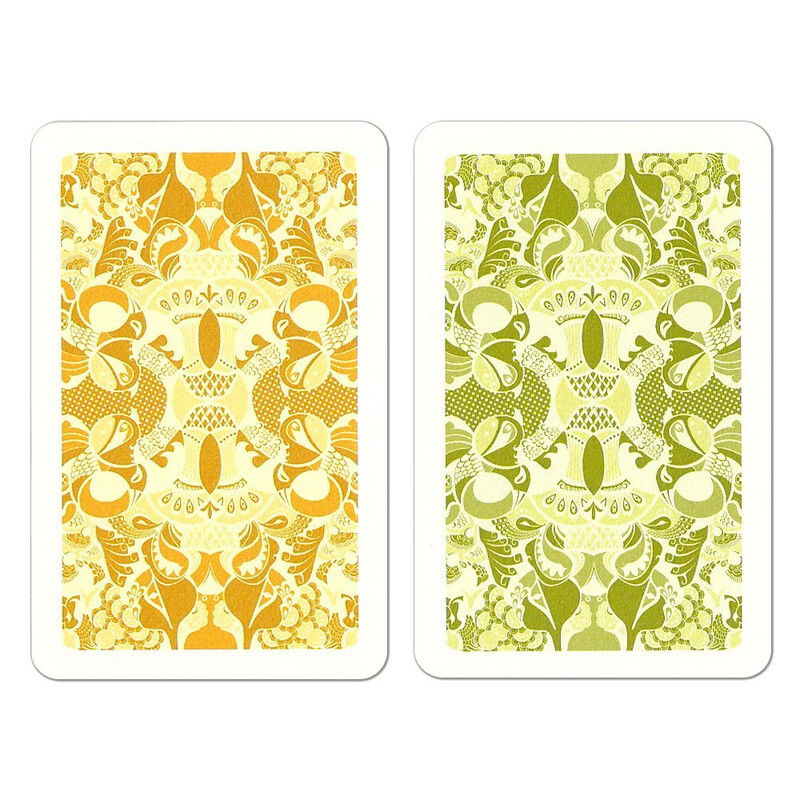 Looking for a professional quality set of cards that doesn't look like an average deck? 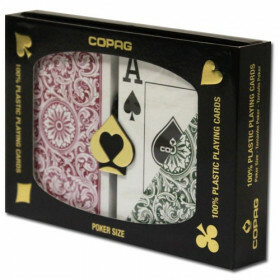 This set includes 2 decks of COPAG quality playing cards with a classy and stylish design you won't find anywhere else. The green/orange combination is stunning. 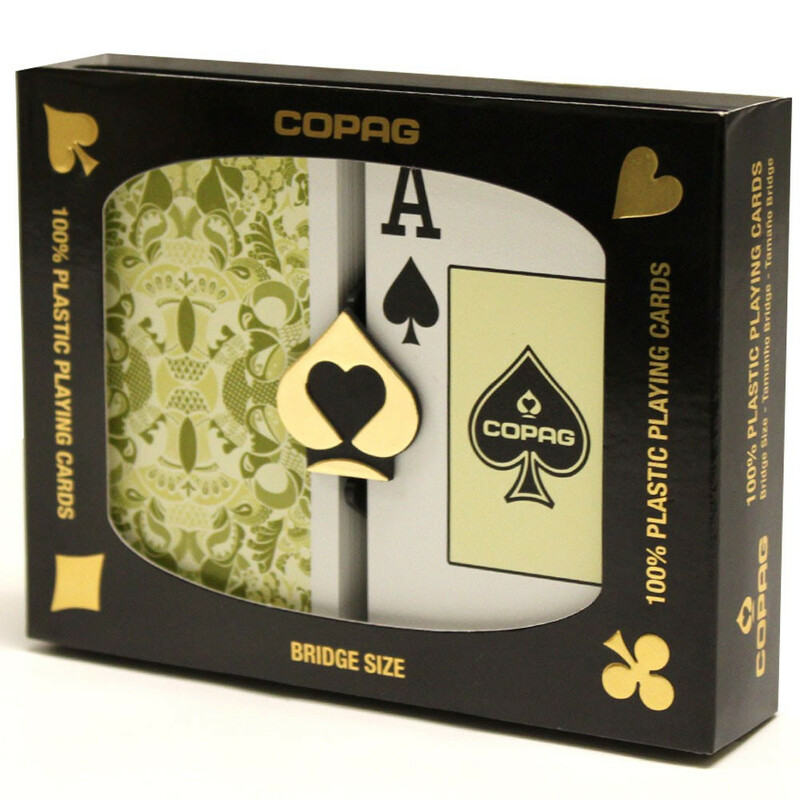 These cards are bridge size (2.25" x 3.5") and have a jumbo index (larger numbers) for easy play. 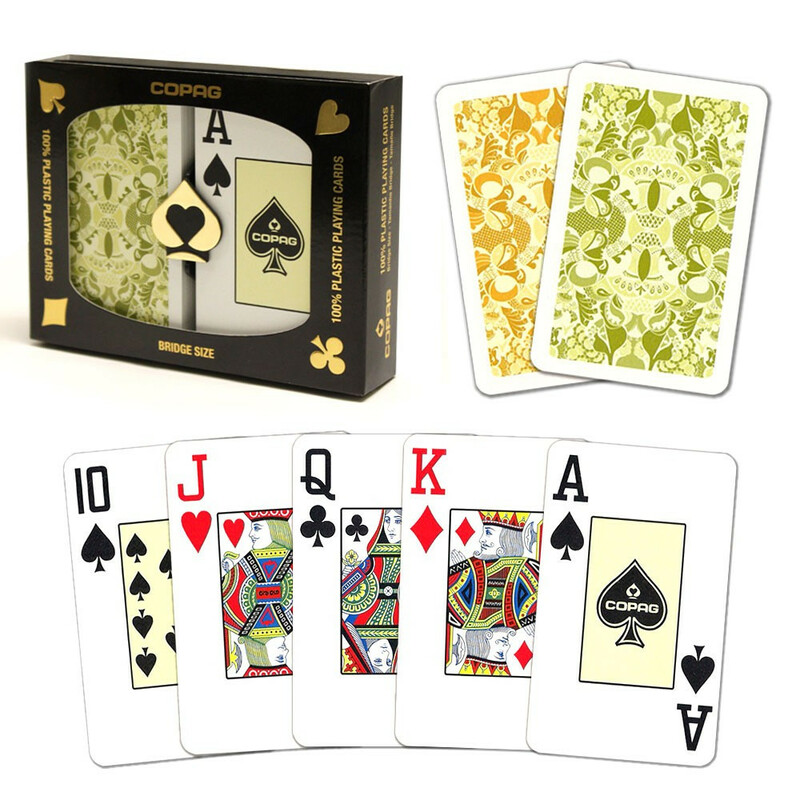 If you're looking for a classy, stylish deck of cards, you just found them. 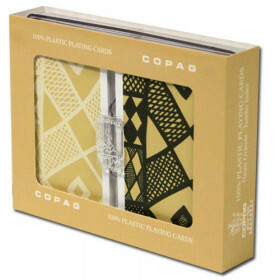 This set of COPAG plastic playing cards is stunning and beautiful. 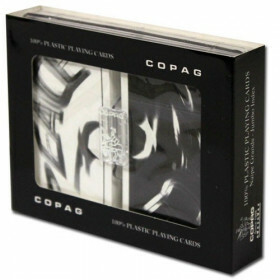 Set the stage for an intimite game with friends and set yourself apart with this upscale set. Their not for the average game, they're special. 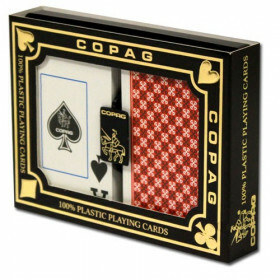 These decks don't just look pretty, they come with the quality and durability you expect from as set of COPAG cards. 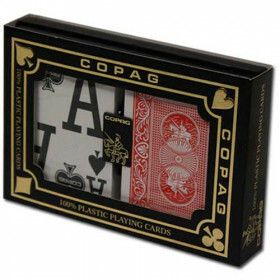 COPAG playing cards are favored by professionals around the world for their feel, looks, and durability. 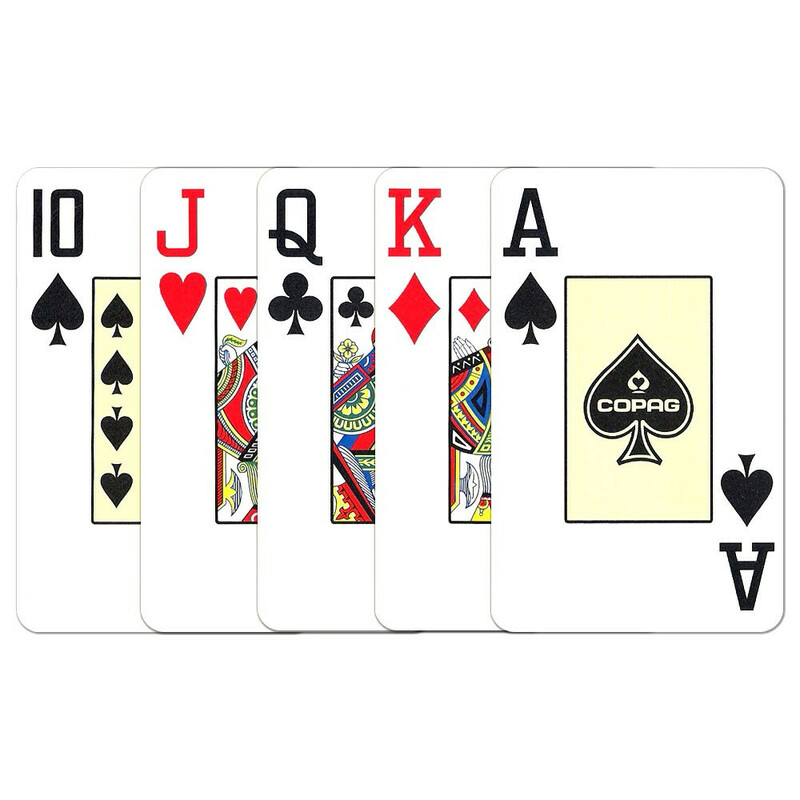 These cards will easily last up to 50 times longer than those cheap paper dimestore cards, plus they are washable! Just try that with that $3 set you bought! Just make sure you like the way they look, you'll have them a long time.